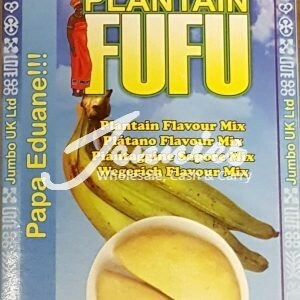 Ghana Taste Plantain Fufu in 680 g Option. 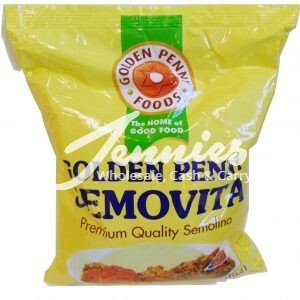 Golden Penny Semovita (Flour) in 2 Kg and 5 Kg Options. 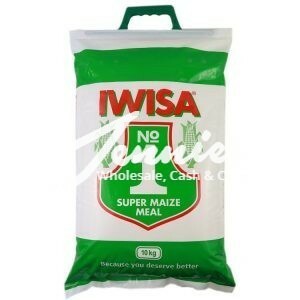 IWISA Maize Meal (Flour) in 2 Kg, 5 Kg and 10 Kg Options. 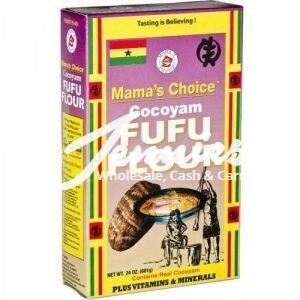 Mama’s Choice Cocoyam Fufu Flour in 680 g Option. 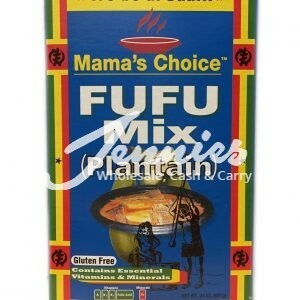 Mama’s Choice Plantain Fufu Flour in 680 g Option. 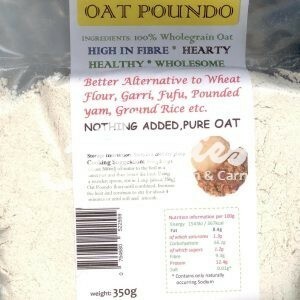 Oat Poundo (Flour) in 1.5 Kg and 3.5 Kg Options. 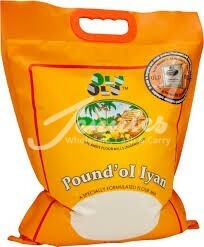 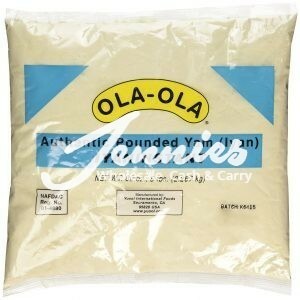 Ola Ola Pounded Yam Flour in 1.8 Kg, 2.27 Kg, 4.5 Kg and 9 Kg Options. 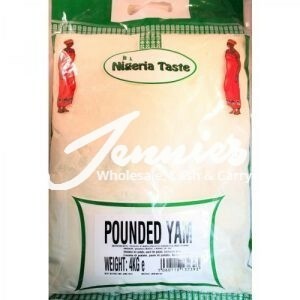 Tropiway Fufu in 680 g, Plantain or Cocoyam Flour Options.